Italy, France and Germany agreed on Monday to develop a European drone programme for reconnaissance and surveillance, seeking to inject momentum into a proposal first considered in 2013 to reduce reliance on U.S. and Israeli technology. In a joint signing ceremony, the defence ministers of the three countries pledged a two-year study to lay the basis for a European drone to be operating by 2025 and said Spain and Poland had expressed interest in joining the plan. The scheme for a pilotless aircraft built by the three EU powers could be worth up to a billion eurosif it gets airborne, officials said after the deal was signed in Brussels. “It’s a very important step for European cooperation, a critical cooperation which we must have at our disposal in many theatres of operation,” French Defence Minister Jean-Yves Le Drian said, alongside his German and Italian counterparts. “The goal of the Euro-drone is that we can decide by ourselves in Europe on what we use it, where we deploy the Euro-drone and how we use it,” German Defence Minister Ursula von der Leyen said. For a decade, European powers have tried and failed to come up with a common drone project, meaning that Britain, Italy and France currently use US-made Reaper drones. Germany and France also use Israeli-built machines. Competing national needs, corporate rivalry and a lack of government support have undermined past efforts. Now there seems to be renewed impetus for the project, with Airbus, France’s Dassault Aviation and Italy’s Alenia Aermacchi all backing the proposal. Large drones operated by European armed forces are mostly based on U.S. or Israeli designs, creating a dependence on foreign technology that some European companies and officials see as bad for European industry and military capabilities. The EU’s aim is to develop a medium-altitude, long-endurance (MALE) drone, a category that can fly at an altitude of up to 9,000 metres for 24 hours. It wants a flexible surveillance drone that could be used for civilian purposes such as border control, fire-fighting and disaster monitoring. One EU diplomat said they could also have a military role, carrying weapons. European Union countries have started discussions to build an unmanned aircraft by 2020 and challenge the dominance of the United States and Israel on a market seen as strategic. Seven European countries – France, Germany, Greece, Italy, The Netherlands, Poland and Spain – signed an agreement in 2013 to invest jointly in research into various drone components, including collision avoidance technology and automatic take-off and landing. The United States and Israel are leaders in the drone market and some European government fear being left behind. Presenting proposals in July 2013 to boost European defence industries, the EU’s commissioner for the internal market, Michel Barnier, said the lesson that Europe could draw from the US espionage scandal, Prism, was “to become sovereign, independent, in strategic matters”, including drones. 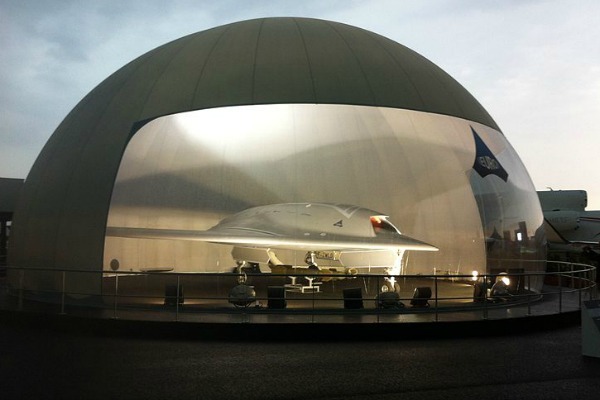 Three European aerospace companies – France’s Dassault Aviation, EADS Cassidian and Italy's Finmeccanica Alenia Aermacchi – called on Europe to launch a drone programme. Well done Germany and France Italy !! What about the Benelux ??? But why did Spain not sign it immediately if they express interests ? At least Spain could clarify the Situation on their mediteranean sea coasts ! If a EU drone would carry weapons, then who would control them? There is no EU authority that would be resposible. Whoever takes control here would have formed a de facto European command centre. If the military wants to buy those drones whatever weapon they may carry then it’s under their responsibility ! For the drone (camera onboard) Data upload link via satellite ? ) every member-states need a command center and a centralized one for common tactics and supervision !